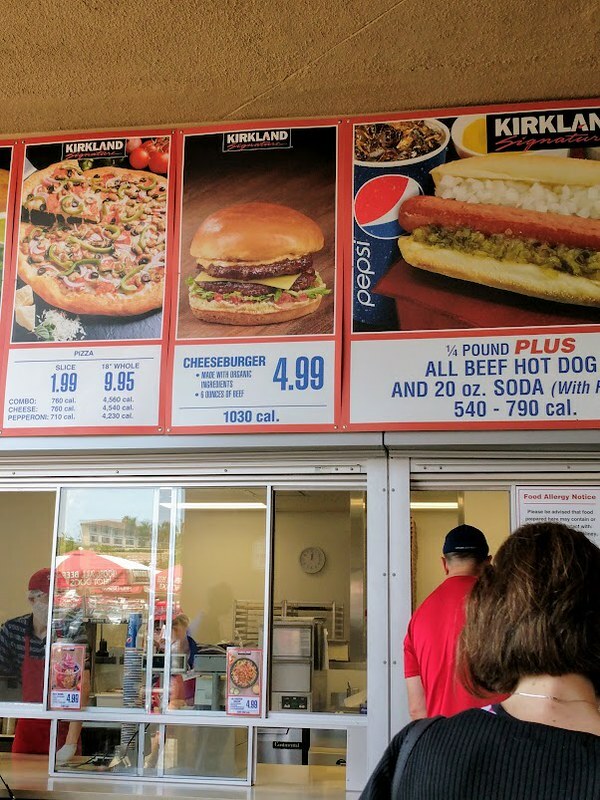 If you’re a frequent Costco visitor like me, you probably noticed the slew of new menu items slowly unveiled this year. It was so significant that the members-only warehouse made news this summer ditching old items like Polish hot dogs to make room for its so-called healthier options. Gone are the chocolate frozen yogurt and berry frozen yogurt sundae and hello to acai bowls and al pastors salad featuring faux meat “carnitas”. 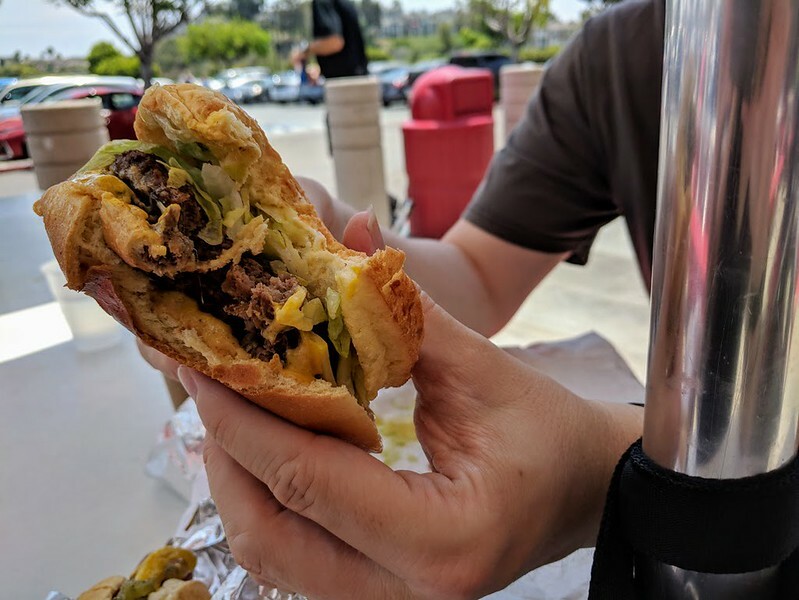 The most important addition in my opinion is Costco’s new cheeseburger I spotted at the Carlsbad location. The menu describes the new handheld as 6 ounces with organic ingredients. If you’re watching your calories, the whole thing rings in at 1030 calories. 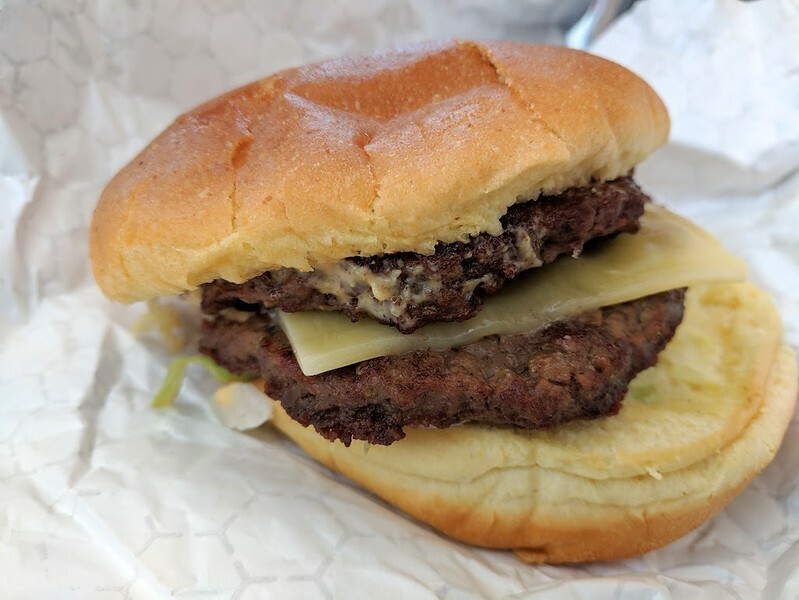 The menu photo is certainly alluring showing a nice shiny bun with two beef patties and slice of cheese in between but like most food photography, the actual burger is nothing like what’s pictured. The initial burger Paul ordered had no cheese. When Paul returned to the window to retrieve the missing slice, they threw out his burger and gave him another. 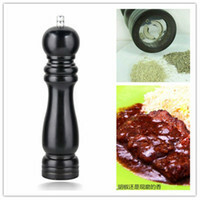 Talk about food waste especially when we had Doctor who would gladly devour the mistake. There’s also really no room for special requests or substitutions. 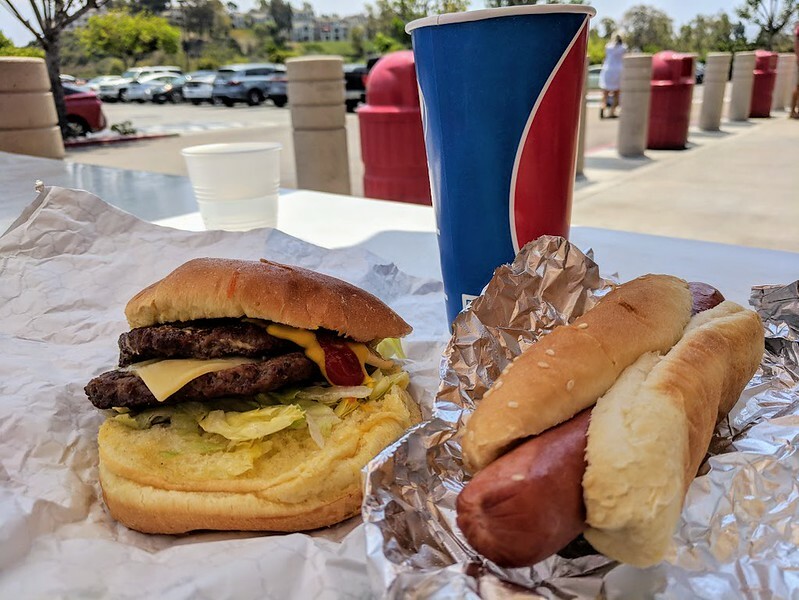 All burgers are premade incorporating chopped onions and tomatoes (betcha the chopped onions are the same toppings used for the hot dogs), shredded lettuce and a mystery spread. I assume the beef patties are cooked via a flat-top griddle yet are barely warm. The burger will cost you a pretty cent costing $4.99 making it one of the more pricier items at the Costco food court. For the money, you’re better off going to my fave In-N-Out and getting exactly what you want made-to-order with their Double-Double ($3.45). Still, there’s one winner I keeping back for besides the hot dog deal: Costco’s cold brew mocha freeze sans the chocolate syrup for $2.99 to keep me cool this summer.